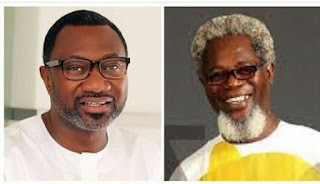 Popular Oil Magnate, Femi Otedola has offered to pay for actor Victor Olaotan’s medical treatment. The Forte Oil boss has pledged to should the entire bills of ailing Nollywood actor, Victor Olaotan who is currently seeking medical treatment overseas. Otedola will be donating $50,000 to ensuring he gets adequate healthcare.